Finally found some plain marinara! Total "Cost" for trip = $2.92/8 = $.36 ea! p.s. : $52.89 left for January's budget! 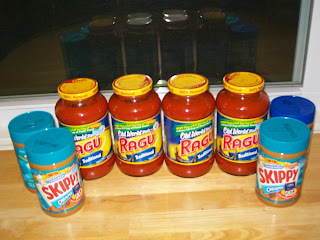 I took advantage of this deal myself, though I purchased 6 Ragu and 2 Skippy. What a great deal!